Saffron, the most expensive spice in the world, might not be native to India, but we Indians have always revered it. From playing an important role in religious ceremonies to being used as a culinary seasoning or a healing agent, saffron is valuable in more ways than one. We at FoodFeasta.com take pride in bringing to you one of the finest saffron in the world, grown in our very own country in the state of Jammu and Kashmir. 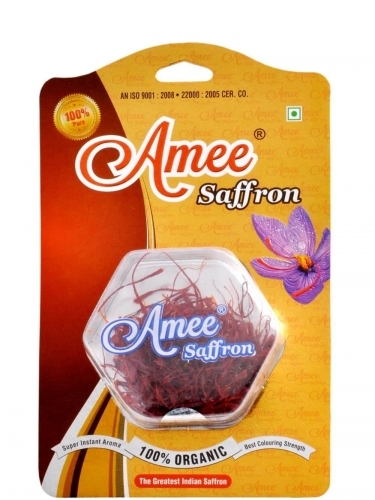 In Amee Brand Saffron consists of the Best Export Quality Selected Kashmiri Mongra Saffron. Kashmiri Mongra Saffron has dark red, long, soft & silky threads having an extra ordinary aroma (safranel), powerful coloring strength (crocine) and flavouring properties. Therefore you do not have to trouble yourself with the hassle over the quality or the effort of going out to find a shop. You can buy the best saffron online, at FoodFeasta.com. 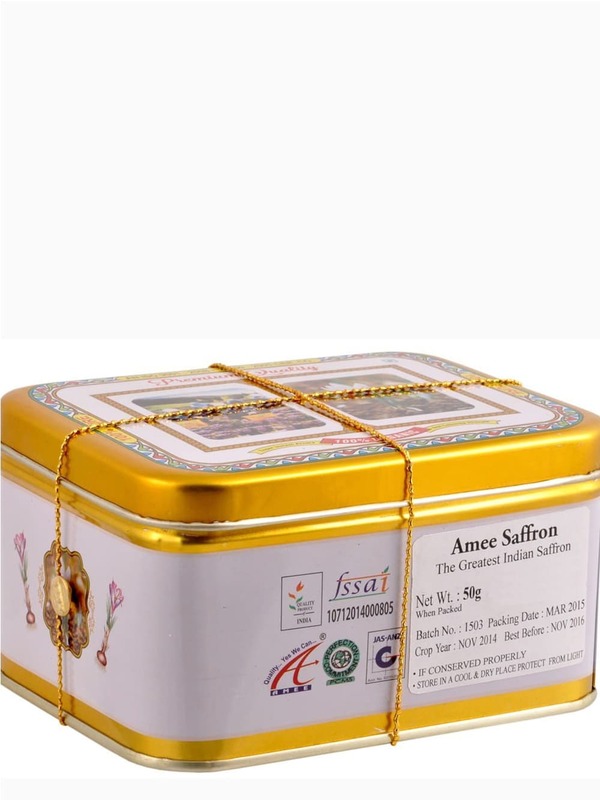 Amee Enterprise is a prominent name in the domain of Manufacturer, Traders, Exporter and Supplier of Saffron Threads, Vegetarian Gold and Silver Leaves. It has a huge clientele around the globe and it prides itself on delivering the supreme quality every time. Don’t wait till the stocks run out. Avail yourself of this golden opportunity now!